Sophie is an eleven year old girl who’s on a mission – to find No-Thing at No-Where. Yet to reach it she must enter the Imaginal World; the world of our dreams where she must first learn the power to dream harder, dream faster. Our world – the Regular World – is in need of help. Once inside, Sophie embarks upon a fantastical journey where she encounters such characters as the energetic Eddie the Gangly, the slobbering Borik the Harkone, the one-eyed Huffalots, Jimbob the Oldest Sproggit, the enigmatic Snifflegruffs, the elegant Lady Drakona, the cruel Blackheart Jake, the odd pair Sergeant Spittlespat and PC Wobblekirk, grumpy Gabby, jolly Ralph – and Ruu Eddin, the mysterious multi-colored mystic trickster. Sophie’s Search for No-Where shows us that the Imaginal World can be both a curious and an unsettling place – it is not for everyone. Yet for those who dare to step inside they will find the fantastical, the magical…where everything is exactly not what it seems. 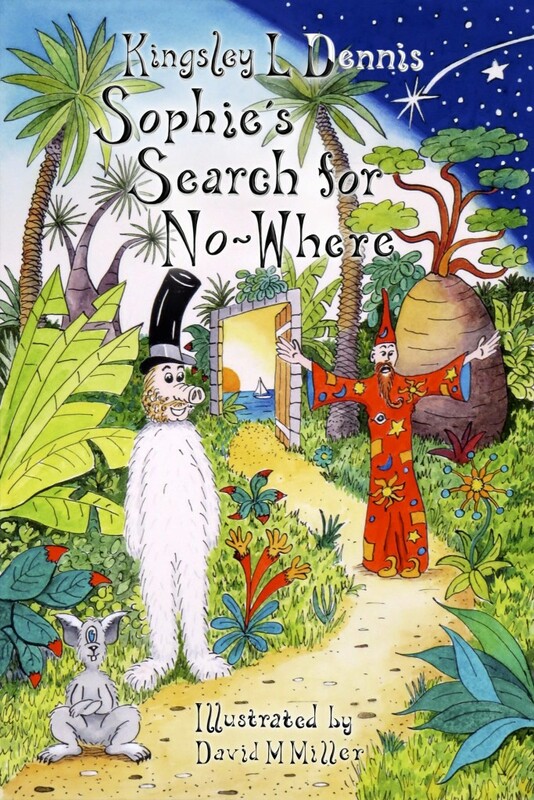 Sophie’s Search for No-Where is a tale for young and old readers that will entertain, delight, and enchant.